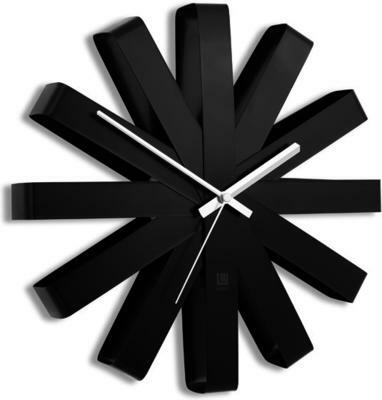 One of the most dramatic wall clocks we have here, the Umbra Ribbon Wall Clock in Black is a true scene stealer. 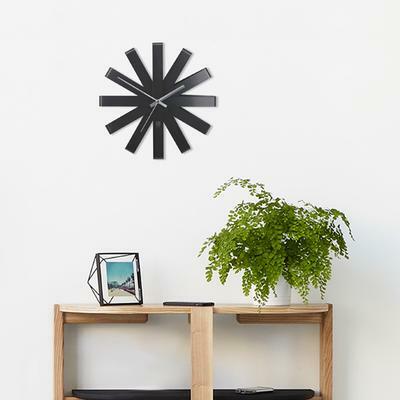 The clock is made from high quality stainless steel that's coated in a black finish. 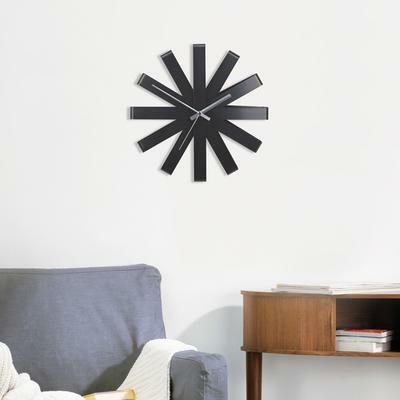 The steel is arranged in a ribbon-like design representing the twelve hours of the day. 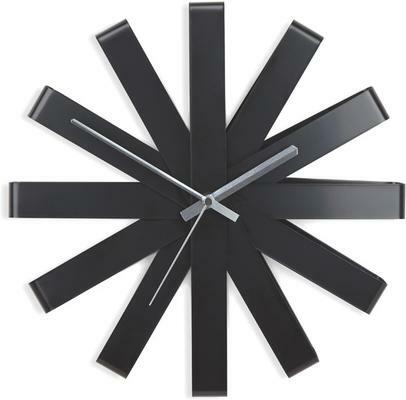 At the centre, you'll find two white clock hands which makes it easy to tell time. Hang this on your living room wall or maybe add it to your office. It's perfect for modern/contemporary spaces and its black and white shade makes it easy to pair with existing home decor and items. You can also find this in a copper version.